Mothers have remarkable challenges and abilities, so mothers deserve special attention. Having a child is an amazing experience, and usually playing a central role in raising him or her day to day is never-ending. It can lead to fatigue, stress, a lack of time, less sleep, and less exercise. 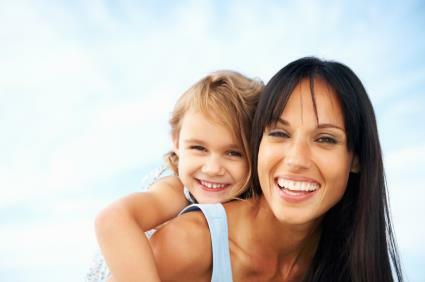 At The Guyer Institute and Synergy Spa, we will focus on you, mothers…or your mothers! We will give you our undivided special attention. Synergy is a multivitamin that can fill in the gaps when a mother’s nutrition is lacking. Many women – and especially mothers – have low levels of Vitamin D. Our Vitamin D3 5000 supplement promotes immune function, breast and bone health as well as a healthy metabolism. If you’re on the go or have difficulties taking pills, perhaps IV Vitamin Therapy is the way to go. It’s a direct and highly effective way to replenish. http://synergy-spa.com/spa-services/iv-vitamin-therapy/. Mothers who have trouble sleeping might try a simple supplement regimen of Tryptophan and GABA. Moms who energy wans throughout the day often benefits from a supplement, MaxAdren, that helps boost adrenal function. Vitamin B12 injections are also a great way to increase energy naturally without the jittery feeling caffeine sometimes provides. Mothers’ hormones can get off kilter, too, especially new mothers. At The Guyer Institute and Synergy Spa, we can do an easy blood draw in the office to see what’s happening with your hormones and then offer advice and possible hormone replacement treatment. Special attention for moms should be all year round. We help that happen, and work to ensure your best health.